RIDGEFIELD — The first schools to be built in Ridgefield in more than 40 years — a new fifth and sixth grade intermediate school (Sunset Ridge Intermediate School) and a replacement of View Ridge Middle School for seventh and eighth graders — was celebrated with a ribbon-cutting ceremony on Sept. 8. The new campus, made possible by the successful passage of the district’s school bond in February 2017, has come a long way since its initial groundbreaking in May 2017. Since then, the community has watched the site evolve into an two-story, 145,000 square foot facility with 44 modern full-size classrooms, two gymnasiums, a multi-purpose/wrestling facility, spacious library-media center, a life skills suite, band and choir rooms and a state-of-the-art black box theater. 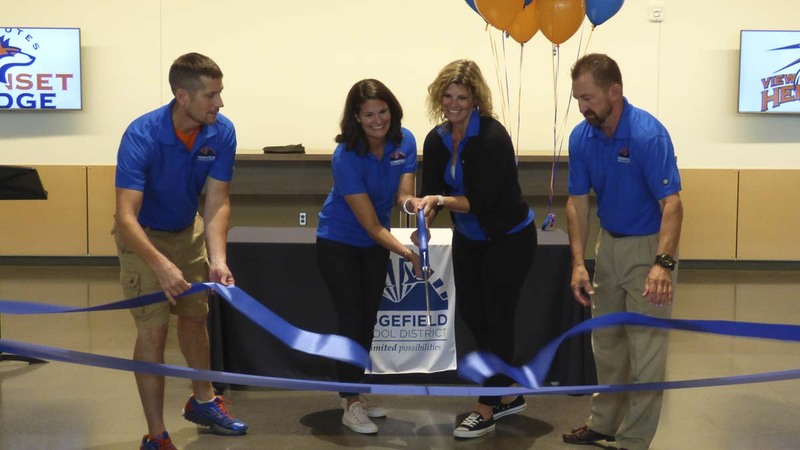 As students, teachers, administrators, parents and community members looked on, school board members Emily Enquist, Becky Greenwald, and Scott Gullickson cut the ribbon, marking the official opening of the new school. 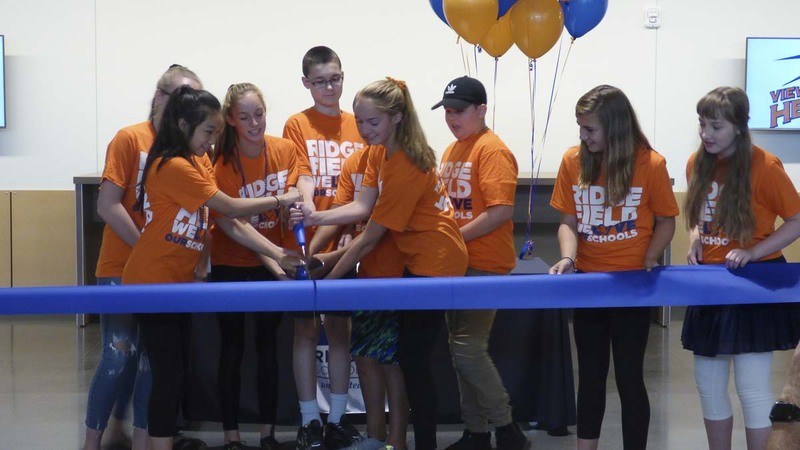 Leadership students from View Ridge Middle School also took part in ribbon-cutting honors. Superintendent Nathan McCann gave special recognition to the project teams at LSW Architects, Emerick Construction Company and R&C Management Group, LLC whose dedication and support to the district during the construction process was instrumental in the successful completion of the new campus. Information courtesy of Ridgefield School District.